1.Light up your Mardi Gras celebration with our Mardi Gras Bead LED Necklace. 2.These Mardi Gras beads are the perfect addition to the festivities,lighting up the night in style with 7 green LED beads in between purple, green, and gold party beads. 3.Your light up Mardi Gras beads can be set to 3 different light modes, turning an ordinary night into a festive and fabulous light show that everyone will love. 4.The perfect party favor for any Mardi Gras celebration, these Mardi Gras beads are a fun addition to any event, whether you're handing them out as party favors or using them in your party decor. 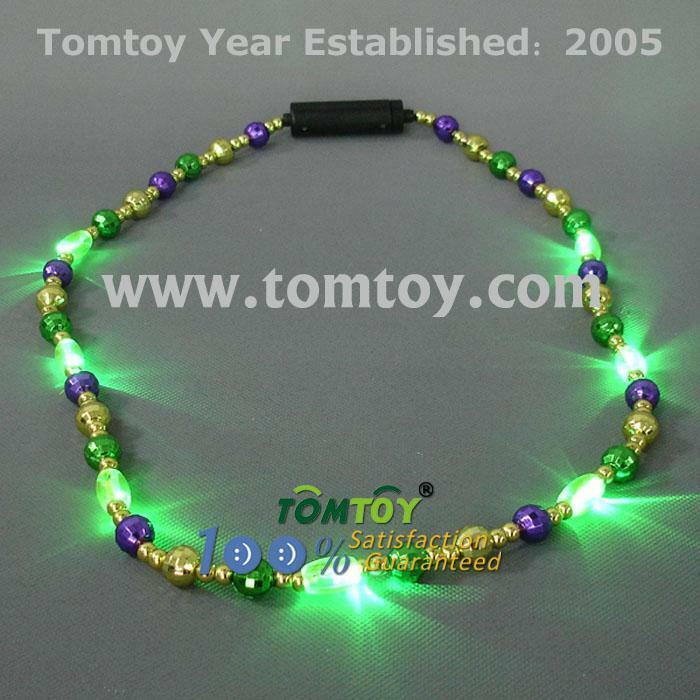 5.Each Mardi Gras bead necklace comes with 3pcs AG13 batteries included and installed.